Doesn’t it seem like every other day stories about employees behaving badly show up in your newsfeed? Well, you’re not imagining it. The most recent National Business Ethics Survey from the Ethics & Compliance Initiative indicates that 41% of U.S. workers have observed unethical behavior in the workplace! Let’s not add any more fuel to the fire. As an employer, you can’t assume that your workers automatically know how to act ethically. They need proper training. How can managers enforce an ethical culture? Unfortunately, managers perpetrate 6 out of every 10 instances of misconduct and 21% of employees who report the misconduct experience retribution. You can see the cauldron of legal problems brewing for organizations! Above all, managers need to set the right example of desirable workplace behaviors that employees should emulate. When an organization has a culture of unethical behavior from the top down and has not reinforced the importance of ethics, you will see an increase in problems across the board at all levels of the organization. Employees may rationalize what they see as “Everyone is doing it so I can too” or “That person didn’t get caught so why do I need to follow the rules?”. Establish that actions speak louder than words and “do as I say, not as I do” won’t fly. Give employees a way to report ethical violations outside of the manager they report to. 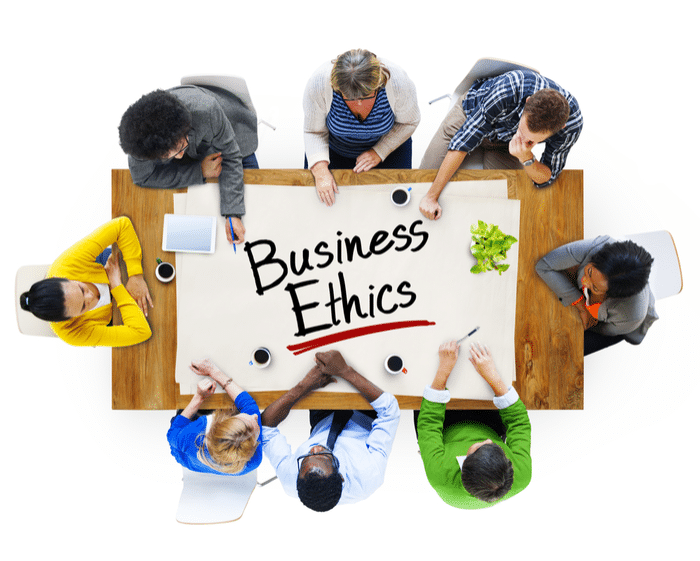 Treat any ethical reports seriously, respectfully, and confidentially. Promote a culture of caring for coworkers and managing resources effectively. Maintain strong policies and procedures, especially around business travel, in order to provide ample structure and direction for managers to follow. Here are some questions you and your employees can ask yourselves when trying to assess whether a work decision or practice is ethical. If you cannot answer “Yes,” to these questions, you likely need to reconsider your decision. What would I think if I saw that in the headlines? Have you considered fairness and utilitarianism (most good, least harm to employees/clients)? Does this decision represent a conflict of interest? Does it fall within the acceptable standards of business or industry best practices? Would you feel good explaining the decision you made to those you love the most? Am I going against my personal values? Am I misrepresenting information, hiding anything, or lying? Does this action violate company policies? Would it have a negative impact on you or the company if this got out? Still waffling? KPA’s clients who have access to our Ask an HR Expert hotline can get additional compliance assistance vetting ethical behavior in the workplace.